The Government of Canada and Government of Ontario have committed almost $9 billion for Toronto transit projects. According to the City of Toronto, the funding will be dedicated to building the Relief Line, SmartTrack, the Scarborough Subway Extension, waterfront transit, and the Eglinton East LRT. This funding is only possible due to the cooperation and mutual respect between the City, the province and the federal government. “I am pleased to see that the federal government recognizes the importance of investing in public transit. I also commend the Ontario government for matching these much needed investments required to build and expand our transit network, the third busiest in North America,” said TTC Chair Josh Colle. Colle also applauded the fact that federal funding is being allocated on a per rider basis – ensuring the TTC receives billions more than it would if allocated on a per capita basis. 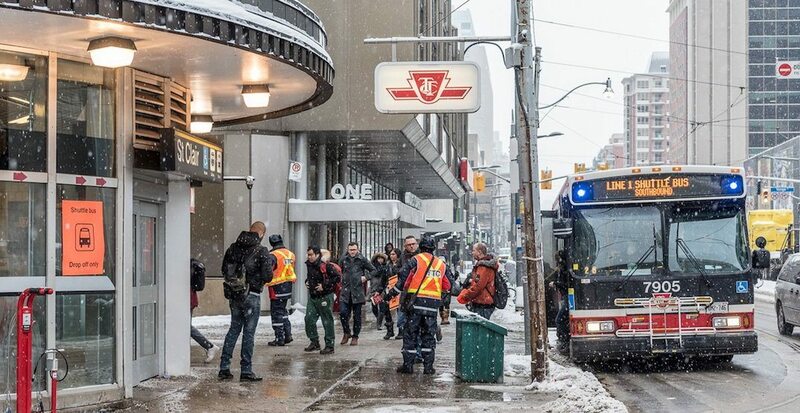 “The TTC requires partnership, collaboration and innovation in order to be successful in delivering a world-class public transportation system that Toronto can be proud of,” said Colle. Earlier today, the federal government announced the signing of a bilateral agreement with the Ontario government that will see more than $11.8 billion of federal funding over the next decade committed to infrastructure projects, including transit, according to the TTC.